This does the job nicely. Canon 5D MKII with 24-105mm F4 lens attached, variable filter up front to allow for shallow depth of field. 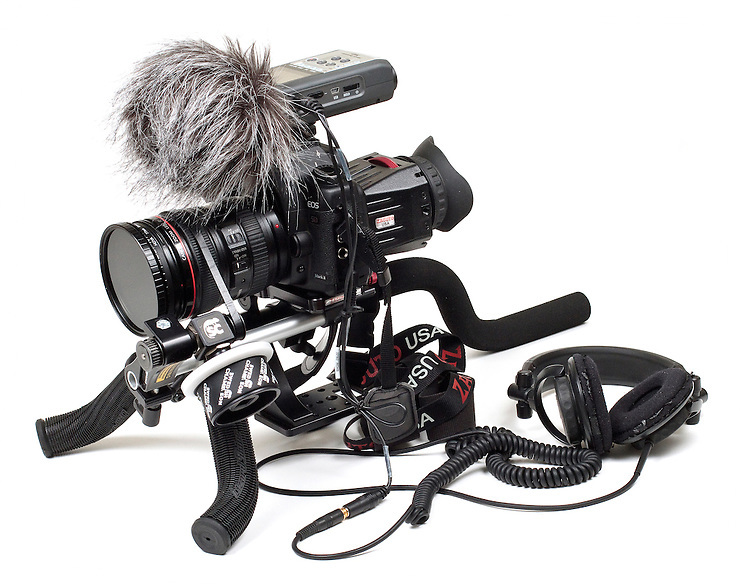 Zoom H4n digital sound recorder with 'dead cat' windshield (irresistible to children) and Zacuto z-finder attached to the back of the camera body.